Cruising is one of the most fun and relaxing methods of travel, but there is a dark side to cruising not everyone knows about. For the past few years, the number of cruise ship accidents have increasing, from the Costa Concordia capsizing tragedy in January, 2012 to the recent Carnival Triumph cruise ship fire in February, 2013, to the recent revelation of the molestation of an 11-year-old girl onboard a Disney Cruise Line vessel. Living here in Miami – the number one cruise port in the world – it’s difficult not to notice the number of injuries, disappearances and crimes that occur both in port and on the high seas. Cruise companies have a responsibility to provide a safe environment for everyone onboard and when it comes to major crimes, such as sexual assault or battery, if the incident is not reported to the FBI and Coast Guard right away, the cruise line may be fined and be held liable for the pain and suffering of the victim. Yet, despite the many maritime laws governing the cruise industry, liners don’t always look out for the best interest of their passengers. Unfortunately, the majority of cruise ship accidents and crimes are the direct result of negligent actions by either the cruise company or individual crew members. Some incidents may involve something as simple as a slip and fall because of a water spill on the floor, while others are more serious, such as passengers who become ill and are not properly treated or passengers who are physically assaulted. But regardless of the severity of the incident, all cruise accident victims are entitled to seek legal help. If you have been injured, assaulted, have lost a loved one in an overboard passenger accident ,or have been wronged in any way because of the negligent actions of a cruise line, the Wolfson Law Firm, LLP in Miami can help you obtain justice. Why Seek Legal Help for a Cruise Ship Accident? Nearly every cruise line is registered in a foreign country and flies a foreign flag. This allows the line to divert any sort of responsibility for accidents and crimes to the government whose flag they fly and can essentially sweep the issue under the rug – or in this case, the ocean. These foreign governments may not investigate an incident or persecute a suspect to the degree a U.S. court would, leaving victims without any sort of peace or justice for the wrongs that have been committed. And if you try to go up against a cruise line on your own, you can expect a very steep uphill battle. Cruise lines include all sorts of clauses in their cruise passenger contracts that limit their liability when an accident occurs. They will try to avoid taking blame for the incident in order to save face to the public or prevent the loss of revenue. However, the cruise ship accident attorneys here at the Wolfson Law Firm, LLP know better. Our lawyers have spent years protecting the rights of cruise passengers and will not rest until you and your loved ones obtain the damages you deserve. 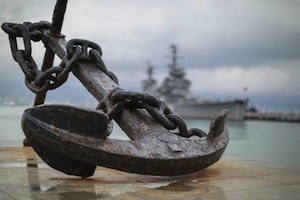 Maritime law is a very unique legal arena that requires extensive knowledge on an attorney’s part so the best possible outcome for a case can be secured. Having an experienced cruise ship accident lawyer on your side can mean the difference between battling a cruise line for years without resolution and obtaining the damages you rightfully deserve. Don’t allow yourself to become a victim of the cruise industry. Contact our Miami cruise lawyers today to discuss your options in filing a claim and protecting your rights.